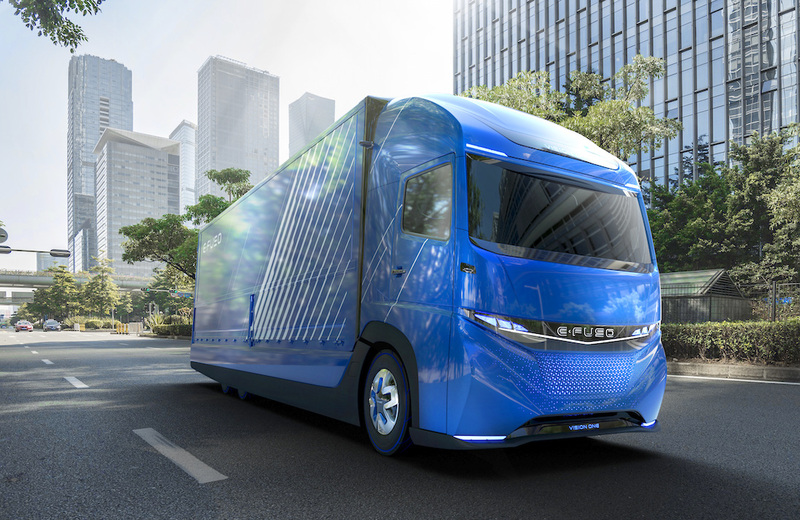 Daimler, the parent company of Mercedes-Benz, has launched E-FUSO Vision One – an all-electric heavy-duty truck with a range of up to 350 kilometres. According to the official announcement, the world premiere of the E-FUSO Vision One is proof that the company is fully committed to its vision of electrifying its complete FUSO range of trucks and buses in the coming years. With the launch, Daimler has officially beat Tesla In the “electric truck race” whose much anticipated Tesla Semi is yet to be unveiled. The E-Fuso Vision One weighs around 23 tons and can carry a payload of around 11 tons. “Our E-FUSO Vision One is an outlook on a feasible all-electric heavy-duty truck. It underlines our commitment to electrify our complete product range. FUSO has been a pioneer in the electrification of trucks for many years. Just one month ago we launched our eCanter, the first serial-produced, all-electric light duty truck. In the future, all our electrified vehicles will run under the name of E-FUSO, our new product brand dedicated exclusively to electric trucks and buses,” said Marc Llistosella, President and CEO of Mitsubishi Fuso Truck and Bus Corporation and Head of Daimler Trucks Asia.